Yahoo! Answers is a joke. Home Humor Yahoo! Answers is a joke. I guess you know Yahoo! Answers. Those who don’t know it is a online community or forum like site where people can ask anything and probably get answers. 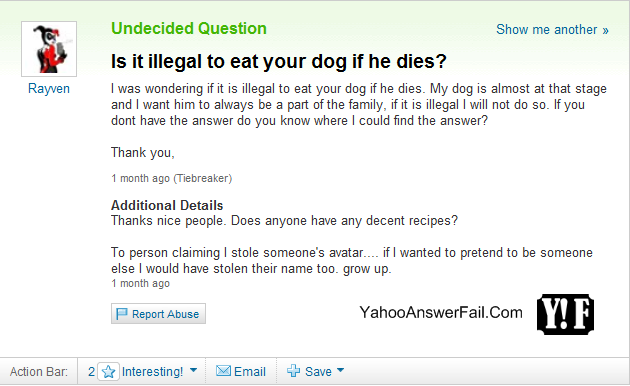 Most of users have yahoo account use it to ask lots of question and some stupid and hilarious questions too. If you are over-bored or want some humor you can visit Yahoo! Answers and will probably find some funny questions and answers. 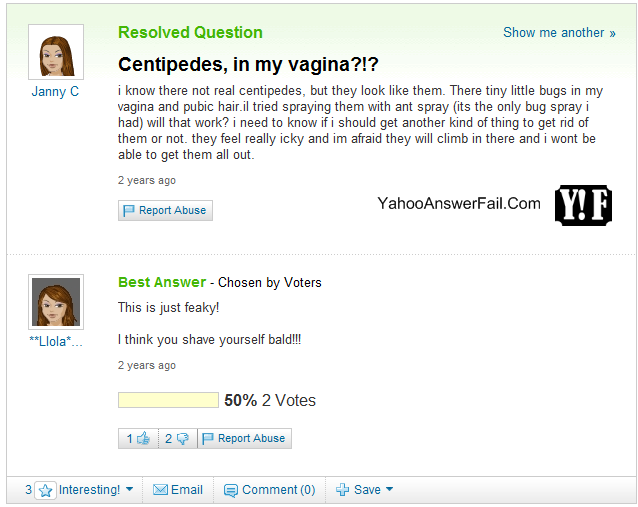 Here are some funny and ridicules questions on Yahoo! Answers. You will find many dog fuckers,sister fuckers,jerks,gay etc.. etc… here.